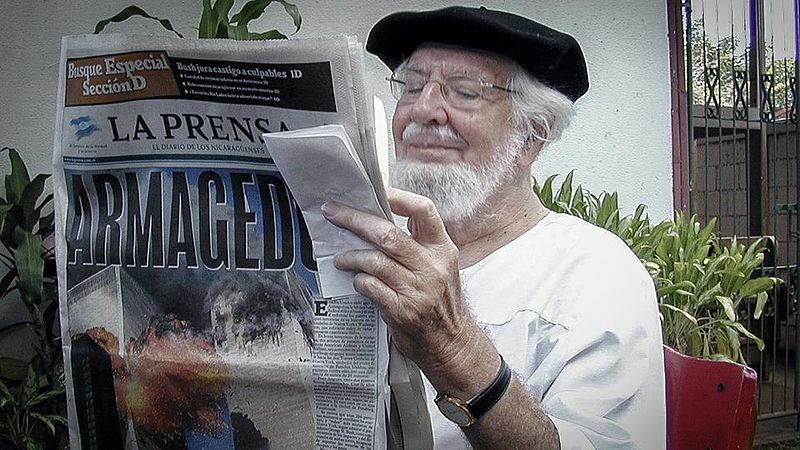 Back in the late 1970's, there was a revolution happening in the Central American country of Nicaragua. After forty some years of dictatorship under the Somoza family dynasty and their control of the National Guard, the people of the country had enough. They overthrew the regime and established a communist government under the Sandanistas. During that revolutionary period, I recall watching film on the evening news of demonstrators against Somoza being pursued by tanks through the streets of Managua, the capital city. 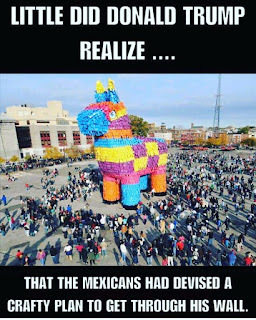 Shortly afterwards, I was in Mexico for a course on Liberation Theology. Watching the evening news in Mexico we saw film on the same demonstration, with one difference. In Mexico, the camera was wobbling all over the place. The view was not steady, because the cameraman was running through the streets with the demonstrators, looking back at the tanks. In the U.S., the cameraman was either riding on the tanks or walking with them. His hand was steady. It was a lesson for me on "point of view." It makes a difference whether you are with the cat or the mouse, with those with weapons or those without, with the powerful or the powerless. I've been watching the mainstream media coverage of the conflict at Standing Rock. When you compare it to the coverage on social media, it seems like there must be two distinct worlds, not just two world views. It's the difference between prayerful and peaceful water protectors and unruly, rioting protestors. And then mainstream media always emphasizes the "3.8 billion pipeline." Those figures hardly ever come up in social media. The only time money gets mentioned is when camp supporters document how much money the President-elect has invested in the pipeline, or how much is needed to continue winterizing the camp. A difference between the Nicaraguan revolution and the one in North Dakota is that there were a limited number of cameras in the late 70's. Everyone at the camps in North Dakota has a camera. And pictures can be shared, instantaneously. The whole world is watching and any brutality or injustice can be exposed. But some will say even visual evidence can be manipulated. So they give more credibility to personal testimony, to the reports of those who are present and experiencing the events. Brookings residents have an opportunity to hear first hand from two women from the Standing Rock Community this coming Wednesday, November 30. Avis Little Eagle is a journalist and publisher of the Teton Times and has held several offices in tribal government. Phyllis Young is the founder of Women of All Red Nations and is recognized for her work in local government as well as internationally. Both will be present and speaking at 7:00 PM at the United Church of Christ on Eighth Street South Wednesday night. Lurking in the background or hidden in the fine print of every report from Standing Rock is the issue of race. As a society we still aren't comfortable uncovering our historical baggage. To look at the racial divisions in this country honestly raises questions of responsibility, accountability, guilt and forgiveness. Every time questions of race are raised in a serious way, the dominant culture tries to ignore them or repress them with overwhelming force, rather than facing them with courage and commitment. 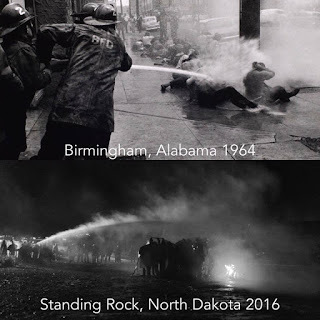 It's no accident that many are sharing pictures, side by side, of the hosing of black civil rights protestors in the segregated south to the hosing of Native American water protectors in what is increasingly known as the Mississippi of the north. There are other similarities. Both have their outside agitators, who if they would just leave, then things could return to normal. The mayor of Bismarck is pleading with all of the outsiders to just go home for the holidays. I heard someone say "race relations in this country is like an old house." We live in an old house! Built in 1890 there's something strong and resilient about it. But one small problem can also reveal a deeper problem hiding below the surface. You can paper it over or ignore it but eventually the fundamental issue will have to be treated. Standing Rock is raising some fundamental questions about our relationship with indigenous people. It's not simply a U.S. problem, it's global. Witness the tribal peoples coming to North Dakota from many different countries and every continent. We will either continue ravaging and consuming the resources of the planet to our destruction, or we will sit at a table with first peoples and learn how we can live well together. 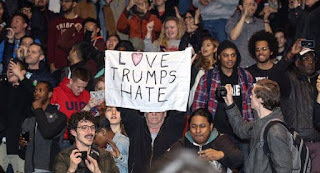 In the aftermath of the election with all the sadness and anxiety and grief that it has engendered among so many, it was hard to encounter the disbelief that came with the realization that, overnight, the bedrock of a certain level of civility and dependability had shifted so dramatically. For so many, our worst fears became a reality. With the dawning of the Sunday morning immediately following the election results, it was a daunting challenge to preach and to fulfill the task of being pastor to ALL of the flock. Some were celebrating while many were in shock, grieving, not quite knowing where to turn. Already, the seeds of distrust and separation and alienation had begun to germinate. I gave silent thanks for the sacred texts that provide authority to preach. Having companions like Jeremiah and Jesus with me in the pulpit as guides while running through the thistles made it possible to find the way to hold the flock together while acknowledging how much we had all been damaged, regardless of political affiliation, by the gross disregard for the sensibilities of our souls and our humanity during the campaign. Together, we could agree that, as beings created in the Divine Image, we have all been deeply and grievously trespassed upon and that the Divine Image has been sullied by the 19 months of verbal, psychological, emotional and spiritual abuse we have had to endure since the campaign began in earnest. So we sang and prayed and cried and worshipped and embraced together to at least begin to heal whatever fissures might have begun to appear in the life of our community. At 3 PM in the afternoon, a birthday celebration began - the celebration of my husband’s 80th. birthday - - the beginning of his 9th. decade. Right at 3 o’clock the caterer had the gorgeous fruit and cheese platters in place. Mulled cider and cranberry punch awaited consumption. Baked brie with plum jam and walnuts enticed - - and the guests began to arrive - - - and extravagant love began to fill the room. 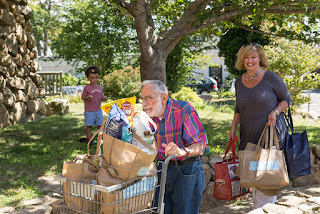 By 4 PM there were 65 or 70 of us, old friends, new acquaintances, folks who had grown up on the island but hadn’t seen each other in years, family members, a broad swath of the community we enjoy and love. Old connections were renewed. New ones were made. There were tributes and greetings given to the birthday honoree. Songs were sung. Our rabbis gave the blessings. Candles were blown out and cake was enjoyed by all. At 5 PM the guests began to depart and it was only then that we could take a breath and ask ourselves “What just happened here?! ?” And why was it such a powerfully whole and loving time together? We celebrated life - and one life in particular as my husband crossed a major life threshold. We felt whole. We felt joy. 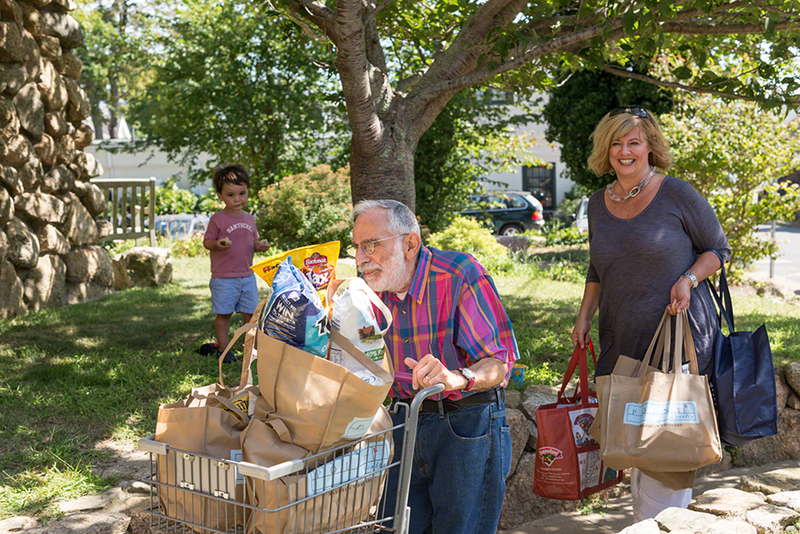 We felt our sense of community in spite of the tumult of the previous week. After so much toxicity over so many months, I think we got just the right antidote. We will all continue to feel the ongoing reverberations that come with each new day’s headlines. We have some incredible challenges in front of us as the new administration moves ahead. There will be much pain to be endured, much danger to be confronted, much fear to be countered. What the recent election portends cannot be ignored. But something happened in our community that assured us all that we will transcend because we know what joy and wholeness are - - we like the way that feels - - and we know how and where to find them - - in one another’s company as we celebrate each other, maintain vigilance in behalf of the vulnerable among us and hold on to the vision of prophets and visionaries of the time for beating swords into plowshares and spears into pruning hooks. The energy for the work that lies ahead will be fueled by the righteous anger that arises from the strength of loving compassion which we must nurture in community together for one another and all creation in the days to come. For many of us, there is another big birthday to be celebrated in the not too distant future. A birth that heralds the coming of light into the world at the darkest time of the year. It coincides with the lighting of the first Hannukah Candle this year. May it be a time of Light Sharing together as we face an uncertain future in unity with one another. It's hard to understand the human mind. Sometimes it simply has its way with us. One can be in a totally different world of thought and a memory intrudes, out of the blue. For some reason, I started remembering yesterday I and Thou. It's a book I read years ago by Martin Buber. Buber believes there are two ways humans have of engaging the world. The way we normally engage is what Buber calls "I-It". It's a subject - object relationship. So if I'm looking for a home or a car, or perhaps even a wife, I collect the appropriate data, analyze and classify it and weigh the attributes. This way of engaging the world sees the "it" as something to be utilized, selected for some purpose, a collection of qualities and quantities. The "I" in this kind of relationship is more observer than participant. The "it" can be discarded when it is no longer useful, whether a car, a home, even a wife. 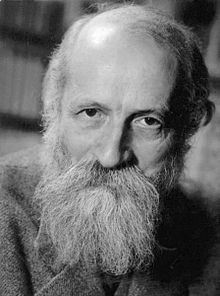 The second way of engaging the world is what Buber calls "I-You." In this mode one enters into relationship with the other in a way that transforms them both. This can happen between humans, like in a marriage, but also with elements of nature or even with inanimate objects. So you can have a transforming relationship with a dog, or a piece of music, water (I'm anxious to get in the shower), or even the moon. The third way of engaging the world is what Buber calls "I-Thou." Of necessity, this third way recognizes a relationship that is beyond our capacity to objectify it. In this relationship we are not in the driver's seat. We can not control or manipulate the Thou. But if the Thou takes hold everything changes, because we understand the world around us in a totally new way, as endowed with presence that transforms the world, and more importantly, transforms us. That's the first memory, the Buber book! But there's also a moan! Because I'm remembering (a second memory) as I write this, we are recognizing Veterans Day today. As a nation we are honoring and recalling the lives and deaths of millions who fought and died in this nation's wars. Inherent for me in the day, is the grief I feel for the all too present capacity humans have to turn peoples and places into the "other," to the point where all are expendable. How is it that we still are not able to see those who come from different races, cultures, countries or creeds as a "you," open to mutual relationship and transformation? Why must the other always be treated as an "it?" Are we inherently, perhaps even genetically, frightened that we might be changed? Buber wrote I and Thou in 1923. Even then he was recognizing how modern society was built on "I-It." He saw all the institutions of the day built on this kind of objectifying of others; economics (especially economics), politics (especially politics), the military (especially the military), education, even the family. For Buber, the result of an "I-It" society was eventual alienation, a sense of homelessness, a loss of identity, an existential angst. It results in a pervading sense of meaninglessness, a pervasive feeling of fear and impending doom. A second moan! The 2016 Presidential election! Talk about a society in existential angst with a pervasive feeling of fear and alienation. It's the U.S. today writ large! Maybe we need to transform our culture from "I-It" to "I-You," even "I-Thou." So what to do? I'm going to look for the moon! 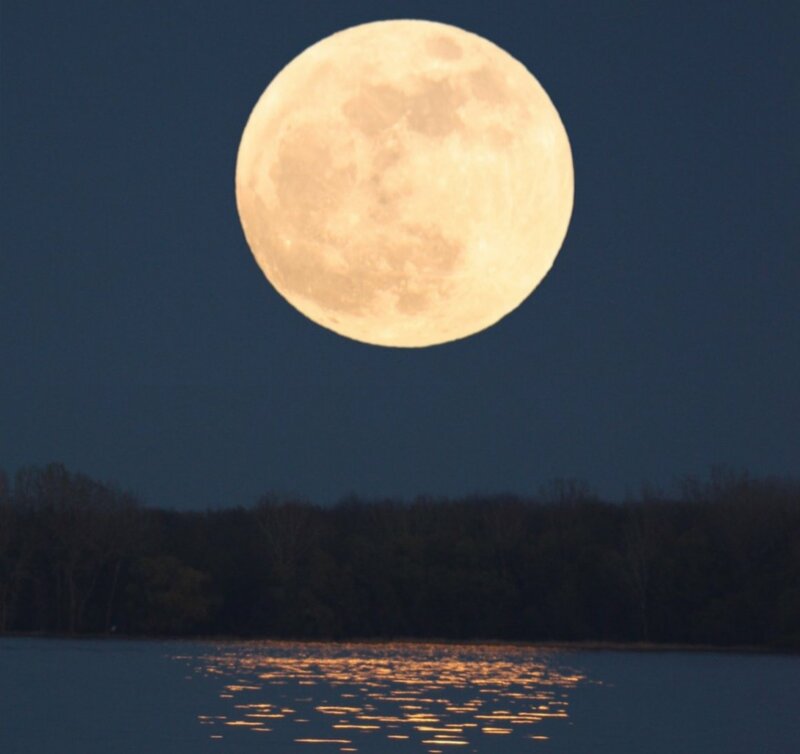 Monday night will be a "super moon." Because the moon will be full and closer to the earth than at any other time in 2016, it will appear 14 percent larger and 30 percent brighter. It will be closest to the earth since January 26 of 1948. It won't be as close again till November of 2034. I'm hoping for clear skies. The night sky, if we take the time to look, reminds us of our finiteness. 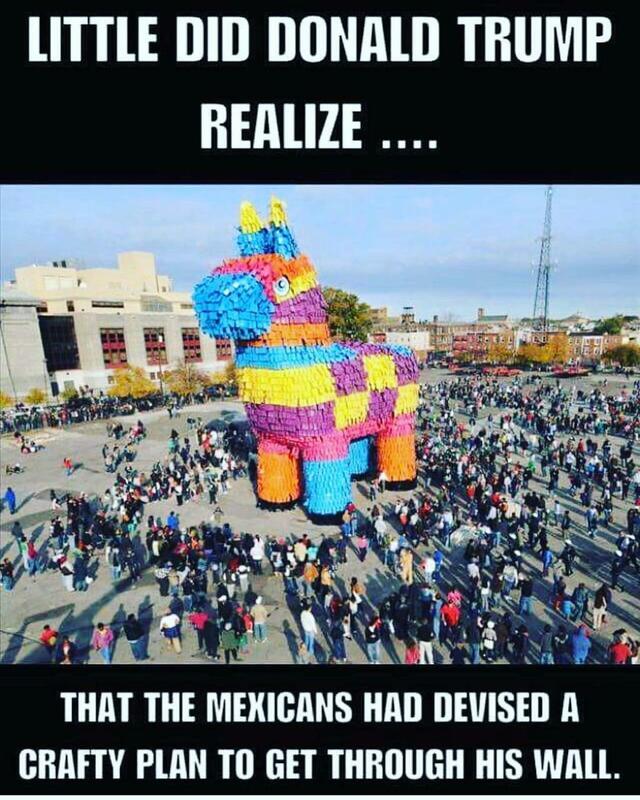 It's all bigger than we are. And if one is able to discard the "I-It" mentality, not try to grasp or use the night sky for a purpose, we might even be exposed to potential relationship with a "Thou." Awe always has an aspect of reverence and wonder. Awe can inspire us to new modes of relating. And an "I-Thou" relationship can relieve our moans and enable us together to make new and more beautiful memories. Recently in a class I am taking at South Dakota State University titled Peace and Conflict Studies, I read a short excerpt from a book titled "Approaches to Peace", assembled by David Barash. He talks about how people who practice nonviolence must do so with "a willingness to be abused by the authorities and yet to respond nonviolently, with courage and determination, even politeness" (Barash 243). I found this notion very intriguing, especially with all that is going on in the United States today. 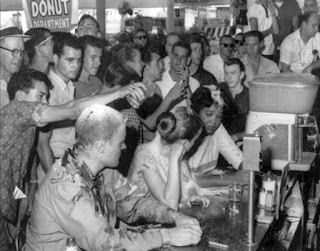 There are many movements and protests, violent and nonviolent, happening all across the country. However, not many of these affect me personally. Living in small town South Dakota, I don't really have to concern myself with these movements unless I want to. This piece from Barash got me thinking, if I did involve myself and chose to fight for a cause, is this how I would hold myself- with politeness toward those trying to fight against me? Choosing to fight for a cause that is found to be worth fighting for is a huge decision; it is an even bigger decision to choose to fight nonviolently. I think many people are confused by the notion that fighting for a cause must contain violence in order to win or subdue the 'enemy'. 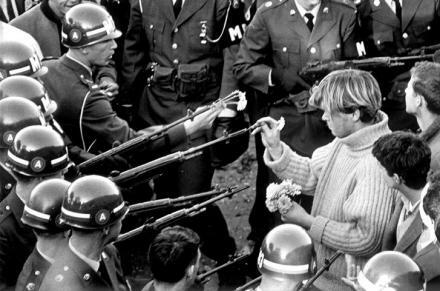 Nonviolence is not an alternative to fighting, it is simply a different way of doing so. With all that is going on in our country, many groups seem to view their cause as having supporters and enemies. When groups use the practice of nonviolence, they are not only helping their own cause, but they are helping their opposition as well. Rather than having to end with winner and loser, why not end with a compromise or a 'tie'? I think people very quickly lose sight of the fact that we are all living here together and can achieve a place of harmony if only we stop viewing each other as being allies and enemies. Facing issues with courage, determination and politeness could change the way the entire country takes on disagreements and movements. By keeping these three things in focus, I think that different groups could successfully work through differences and disagreements without having to incorporate the violent aspect.